Mankatha’s audio will be unveiled very soon but meanwhile the filmmakers planned of releasing a single track of the film. 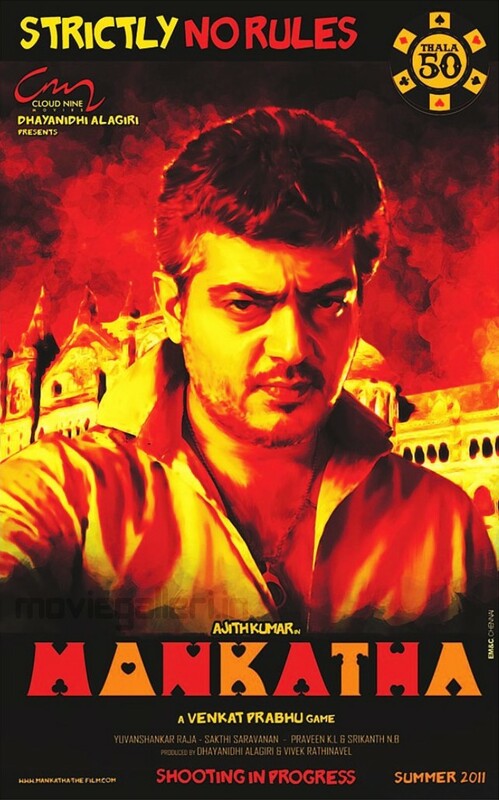 So the time has come, the single track CD of Mankatha is releasing shortly. Mankatha Single CD Special edition is attached with an amazing poster and also with Thala Ajith’s autograph. Is there anything else needed other than this, all the fans will be happy to see Thala’s latest poster along with his autograph, which is a very rare chance they get to have his autograph. In fact the talented director Venkat Prabhu is all set to introduce some innovation in launching his audio through the single track. It was Ajith’s introduction song in the film which has been released today. The song is sure going to turn as ring tones and caller tunes among all the music lovers. The same intro song which was released as a teaser trailer has created waves on the net during last week.